Protect your tresses as you sleep and preserve your hairstyle. Depending on your style choice, you may want to pack a scarf and a bonnet. A scarf can be used to help lay your hair down, while the bonnet can be used along with it in case your scarf slips off at night. Never underestimate the power of a good leave-in conditioner. Leave in’s work to make your hair more manageable and help to reduce frizz. Looking for a leave in to add to your arsenal? Dark and Lovely’s Slick Slip Leave In Conditioner is designed to smooth out tangles during the detangling process and gives you long lasting moisture. In addition to using a rinse out conditioner for co-washing, it has another nifty use. Chlorine and salt water can be very drying to the hair, making it a pain to deal with afterwards. However this shouldn’t prevent you from enjoying a dip in the ocean or a relaxing swim in the pool. Before you go, coat your hair with a rinse out conditioner, this helps reduce damage and keeps your hair from becoming too dried out afterwards. When you are done swimming thoroughly cleanse your hair. Cleansing Conditioner A La Crème can be used as a gentle three in one shampoo, conditioner and detangler you can use. Traveling is great, but getting from point “A” to point “B” is where it can be stressful. Avoid any hassle at the airport by making sure you are carrying the sample or travel size of your favorite styling product. If you can’t find a smaller size of the product you are looking for, local stores like Target or Walmart carry small cosmetic containers you can use to store your products. This also isn’t a bad idea because it gives you room to pack all the other things you will need and will help in making your luggage more lightweight. Sometimes, rather than applying more product to your hair, a good spritz with water is all it needs. Pack your water bottle so that you evenly and easily hydrate your hair. Look for a good travel size oil to pack with you. Use it to seal in the moisture and add some shine to your hair. Dark and Lovely Au Naturale Moisture L.O.C. Soak it Up Oil adds moisture and shine to your hair without weighing it down. Depending on where you find yourself, locating a wide tooth comb may be a task. Which is why packing your wide tooth comb is an absolute must. The last thing you want to end up doing is attempting to detangle your hair with one of those combs with the tiny baby teeth (absolute nightmare)! A good paddle or denman brush will help stretch your hair out after you have finished washing your hair. 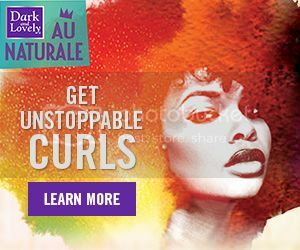 This is especially helpful for naturals who experience high shrinkage and are looking for a more full stretched out hairstyle. Bobby pins are your goto solution when you need a quick and easy hairstyle while on the go. All you need to do is tuck, roll and pin in place. They can also be your savior when your hair just doesn’t want to cooperate with you. Elastic headbands will help give you the control to mold your hair into a cute updo or bun making styling a breeze. This is the perfect solution for when you don’t feel like spending hours on your hair while on vacation.